How is the image captured? How it is to be stored and transmitted? How will it be accessed? All of these should be considered when making a choice. The way in which an image is captured can have a knock-on effect when the image is viewed. One area that needs to be understood better is the effect of the type of lens used. Here we will address the differences between using true variable Optical Zoom and simple Optical Magnification. Does the camera use a manual/motorised lens to increase the amount of optical zoom? Is a single level of optical zoom produced by placing a simple optical magnifying lens in front of the camera? 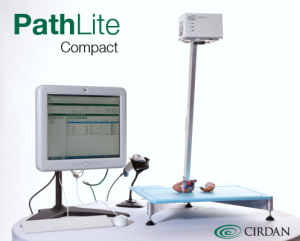 Cirdan‘s PathLite Compact cameras use a motorised (x20) optical zoom lens to ensure that the optimal level of zoom is available when capturing an image. This ensures that regardless of the number of megapixels used, there is no loss of image resolution as zoom is applied. Many other manufacturers use a multi-megapixel camera with a fixed optical magnification lens placed in front of the camera. This has the effect of limiting the size of the initial field of view (FOV), but has no benefit in terms of maintaining resolution when the FOV is reduced. Using digital zoom to reduce the FOV will simply select a smaller region of the original image. This results in a reduction in the resolution of the displayed image; the smaller the FOV, the lower the resolution. When capturing digital images, the use of digital zoom is unnecessary as this function is available post-process with the software on any modern computer. Applying digital zoom when capturing an image causes a reduction in resolution which cannot be recovered. 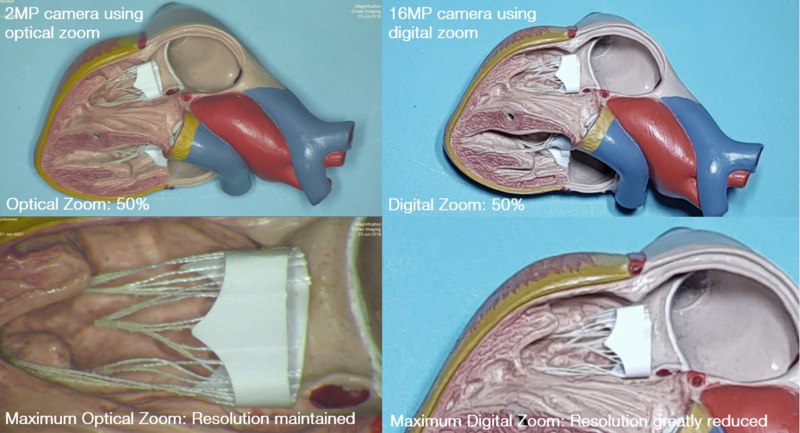 This is why many manufacturers use multi-megapixel cameras for this application. See comparison below between optical and digital zoom. Using optical zoom rather than digital, allows the user to maintain the same resolution for all images. (For the purpose of this article we will assume PCs with a HD display are being used). Most medical images are viewed on PC monitors or projectors, which will typically have a resolution 1920×1080 pixels (for HD). This equates to 2MP. Although screen resolution can be reduced it cannot be increased to display higher resolution images. Images with more than 2MP will be processed to reduce the resolution to match the screen and images with less than 2MP can either be displayed by actively reducing the screen resolution or by post-processing to match the screen. This results in the ‘digitised’ (blocky) images users may have experienced. Any FOV of 300x225mm and above will be displayed as a 2MP image. Any FOV less than 300x 225mm will be displayed at 2MP image but may suffer from digital artefacts such as a ‘digitised’ image. Additional Benefits of using lenses with variable optical zoom. Consistent quality for all images regardless of the amount of optical zoom applied. Additional digital zoom is available post-processing if required. 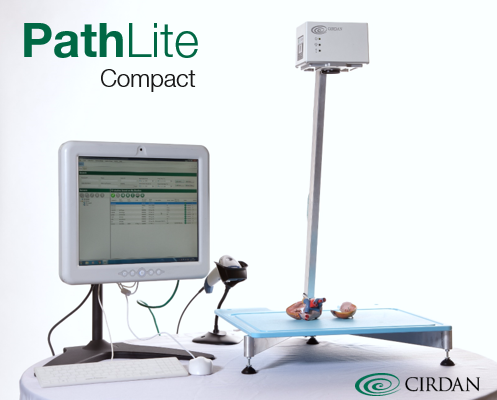 More on our PathLite Gross Imaging System.